Being a Christian is about living so that people who look at you see that something about you is different. The majority of Ukrainians identify with Orthodox Christianity; about 2.2 percent of the population are Protestant Christians, almost 2 percent are Catholic, and about 1 percent are Muslims. Roughly 11 percent of the population do not affiliate with any religious group. About 47,500 Adventists live in Ukraine. This number represents about 45 percent of the division’s Adventists. That means that Ukraine has one Adventist for every 900 people. To Sabbath School teachers: This story is for Sabbath, Dec. 9. Click here for photos to share while telling the mission story. 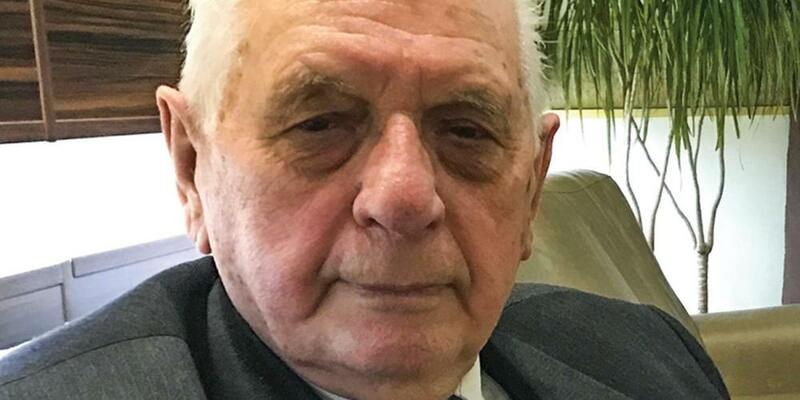 Ask a man to present this first-person report by Nikolai Zhukalyuk, 84, a former president of the Seventh-day Adventist Church in Ukraine. Being a Christian is not about talking the talk. Being a Christian is about living so that people who look at you see that something about you is different. Then they ask questions, and you can reply with enthusiasm because you know the Answer. But if no one asks you anything, then you have no reason to talk. I look for ways to get people to ask questions. I don’t think it is right to start a conversation by discussing the Sabbath or another doctrine. Instead, I want strangers to see that I have something that they need. The other day, I boarded a train in Lviv [pronounced: Le-VIV] for an overnight trip to Kiev [pronounced: kee-YEHV], the capital of Ukraine. I reserved a bed in a two-person sleeping compartment, and the other passenger turned out to be a woman. “Why are you going to Kiev?” she asked, politely curious. I told her that I am a former church leader and have many friends around the world. When my friends come to Ukraine, they sometimes invite me to meet them in Kiev. I told her that it’s more convenient for them to meet in Kiev, and I’m happy to travel to see them. With these words, I provided a short biography of my life. “Have you read the Bible?” I asked. “Well, the Fourth Commandment talks about Saturday,” I said. The conversation continued for a long time. I realized that we could talk all night, so I finally suggested that we get some sleep. The woman wanted to know more, and she asked whether she could find any of my books in Kiev bookstores. I had mentioned during our conversation that I am the author of 15 books. The woman expressed disappointment when I said the books were out of print, but I promised to mail her a book if she gave me her contact information. She wrote down her address and phone number. When we arrived in Kiev the next morning, the woman introduced me to her husband, who was waiting at the train station. She and her husband helped carry my luggage into the train station’s waiting room and told me to call if nobody arrived to pick me up. “We’ll take care of you,” the woman said. This is mission outreach! Now I have a new friend who is interested in learning more about God and His truths. I will continue to converse with her. Your mission offerings help provide literature and books to those around the world who hunger to know the truth. Thank you for remembering the church’s mission in your prayers and with your Sabbath School mission offerings. Nikolai Zhukalyuk is 84 years old and a former president of the Seventh-day Adventist Church in Ukraine. He was jailed for two years in Soviet times for his faith. Read more about him here.